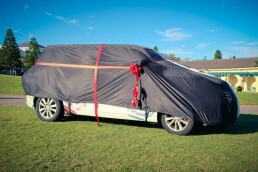 The aim was to wrap a car in such a way, that it grabs instant attention no matter from where you may be looking. The guys at FSK often visit government housing buildings, where they feed the needy. The buildings there are quite tall and we wanted to make sure people can notice the car even from their balconies. 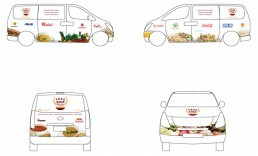 After a few weeks of brainstorming, altering the design and researching who will take on the final task, came across a local printing company that did an excellent job in wrapping the car in individual stickers, as opposed to 1 full wrap. This helps a lot if you decided to make a small change or had a minor car accident and need a panel replaced. 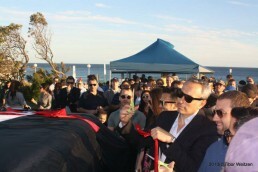 The big launch took place at Bondi Beach in front of hundreds of people. This is what they started with. It obviously needed some improvement. Meanwhile, they also got the car upgraded. 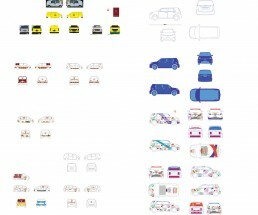 The car was a little different then, we had to re-draw the template a few times as different cars were considered. 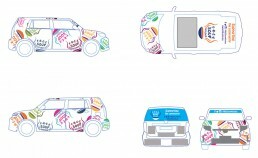 The other thing is that sponsors were to play a large part in the design. 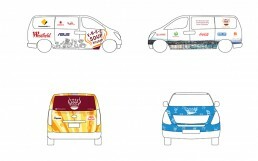 Sponsors are still on the car, but they now have their own special space at the back, great visibility if you are stuck in traffic (Sydney is famous for that). A birds-eye view of some of the process. 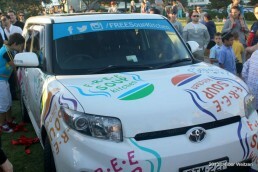 Car wrap for F.R.E.E. 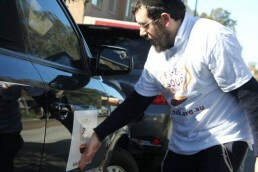 Soup Kitchen, a non-profit organisation in Sydney, Australia.